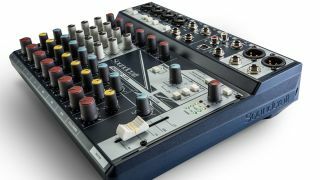 MUSIKMESSE 2017: Once you start taking things out of the box, you might quickly set your sights on a compact analogue mixer for your desktop, and Harman Professional Solutions has just announced three of the things with Soundcraft branding. What’s more, two of them feature Lexicon DSP. 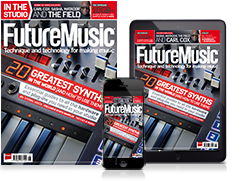 The models in question are the Notepad-5, Notepad-8FX and Notepad-12FX, which offer XLR combo jacks for mic/line inputs and 1/4-inch balanced inputs for keyboards and other devices. There’s USB connectivity for integration with your DAW, and the two larger models offer Lexicon reverbs, chorus and delay with tap tempo control. You can also make use of EQ on each channel and there’s an Aux/FX send facility. The master fader comes with LED metering and you can monitor the master mix or aux output levels on headphones. Look out for the Notepad-5 ($124), Notepad-8FX ($161) and Notepad-12FX ($199) in stores in July and find out more right now on the Soundcraft website.